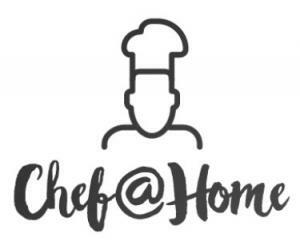 CHEF@HOME is a service of having an experienced chef help in preparing meals and small events in your house. We provide Shabbat meals where you can choose from a menu ranging from traditional to eclectic. Chef@Home comes to your home and prepares everything! �Even provide shopping service if required. When you love to cook but don't have time to prep all the ingredients...I come in the day before and prep all the ingredients you need from washing to chopping...all ready to go! “Demonstration Dinners" - �A different twist on the dinner party with a small demonstration of one of the menu dishes, then serving the whole menu. Meal plans designed for a few days' or even a week's. Short term apartment renters can use this service to eat in the comfort of the apartment they rented using the chef services. Larry is a Gem! I give him an unqualified 5-Stars. His food is fabulous. Wonderful set-up, presentation, and serving (if you need it). He is an absolute pleasure to work with ... friendly, helpful, reliable, and on top of his game. And the cherry-on-the-top is the system where he cooks in your home: this means there are NO dietary concerns or Kashrut issues ... he uses only the ingredients that you want. And when he's done, he cleans up and leaves your home looking better than when he arrived. Larry is great at this! He really listens to what you are looking for in terms of the type of menu, the prep time and kitchenware available and turns out a delicious feast. He is also super personable, conscientious and expedient. Lawrence is a wonderful cook. Lawrence is a wonderful cook. Not only does he make for you what you ask him for, but is able to open your fridge, see what is inside and make a wonderful meal; each time with a lot of imagination and good taste. On top of that, Lawrence is the nicest person; gentle and pleasant. He is somebody you would like to have in your home. And he leaves your kitchen cleaner than he found it!